It’s time to report in on my efforts so far with changing my eating habits and some more information on laboratory data and the research behind them. I want you to know that Patient B woke up from a dream at 3:00 in the morning. I startled myself wide awake, “Why am I dreaming about beer and hotdogs?”. We have two girls attending Purdue West Lafayette and one of them had a birthday Saturday. 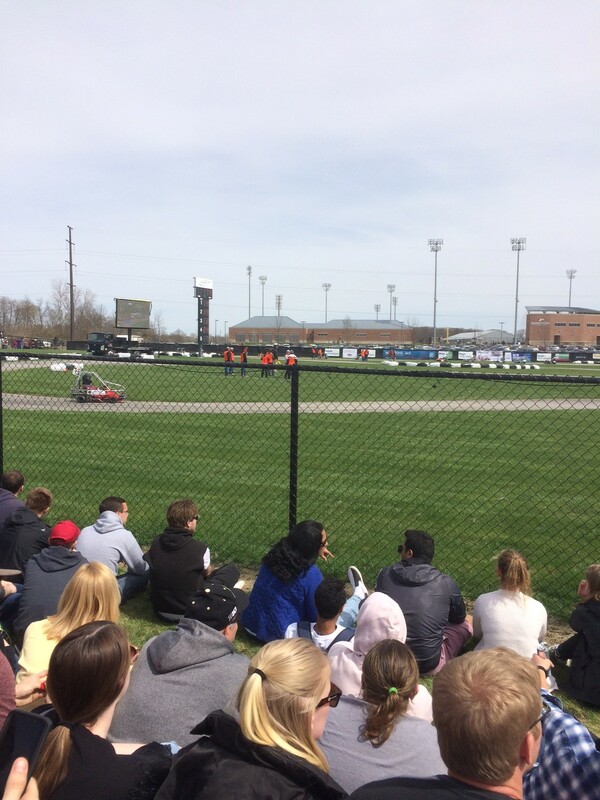 It is also the weekend of their Go Kart race, the Purdue Grand Prix. One of my high school boys has an interest in automotive engineering and I wanted him to see what the Purdue engineers were up to. 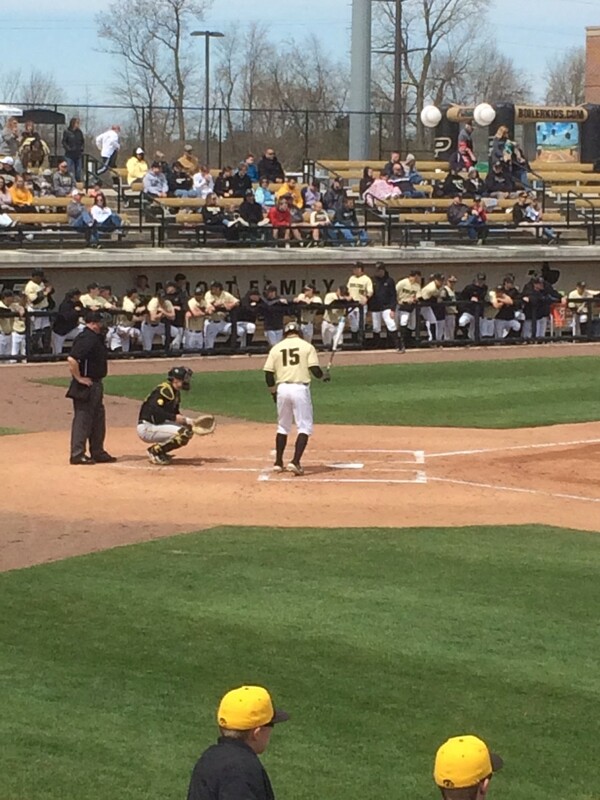 It just so happened that the Men’s baseball team started their game, right across from the track, with Iowa. We went over and watched baseball for an hour before the race started. These are not professional players, they are college kids and the infield errors made for a lot of excitement. I would recommend the games to any baseball fan. And there I was in the stands drinking bottled water. Yes, at a baseball game there is every form of junk food imaginable, and the two things that make a baseball game perfect woke me up at 3:00 am. I woke up this morning dreaming of a beer and a hot dog. And for good reason, my vitamin D results and my Omega 3 and 6 ratios came back and I was not anywhere near what I thought I as going to be. The delayed onset ELISA/ACT allergy test did not come back yet. This lab has a 97% reproducibility rate, the best there is, and they are the most thorough with the largest number of items tested. I am testing 406 items. They have a three person review process to ensure accuracy and it takes time. I will get that next week and share that on Saturday, just in time for my Easter Brunch. Historically vitamin D testing was expensive and difficult to be accurate. It was not until the last 15 years that the accuracy started to be precise and the cost started to drop. This is why it is now an important topic, testing was difficult. Vitamin D itself was always known to be difficult to absorb. Boston Medical college got the grant to identify the gut defect as to why some people do not absorb vitamin D in pill form. It turns out to be a genetic defect or poor absorption abilities from a weakened intestinal tract. The genetic defect is said to effect 18% of the general population. Boston Medical College contacted Perque to manufacture the vitamin D to the standards needed to get around the gut defect for vitamin D absorption. This is the D 3 Cell Guard and the Liva Guard products. No other manufacturer has vitamin D 3 that is made to be absorbed with the genetic defect. I take 5,000 units daily. I take the Liva Guard pill from Perque, it has pure coenzyme Q 10, antioxidant herbs for the liver and nutrients that help the liver and the eyes, along with 5,000 units of the high absorption vitamin D. My vitamin D came in at 48. The vitamin D researchers want the number to be between 50 and 80. I am going to double the intake to get the number up. Typically we will put people on 2500 IU per day and most people do well with that value. For my test to come back less than it should, it suggests my intestines may need repair, I am not absorbing the vitamin D as well as I should. This is another reason to want the allergy test, the testing will give a window into how healthy my intestines are. If the number comes back over 20 allergic items I have work to do, to repair a leaky gut. My Omega 3 oils came back at 4.46 % ratio. This is supposed to be well over 8%. I am taking two a day of the EPA/DHA and I am going to have to increase the dose to 5 day. From watching patients results the average adult needs 4 per day. We use Perque omega 3 oils for a reason. They are 100% mercury free, not parts per billion free, 100%, they are also distilled twice and then packaged in nitrogen so they will not go rancid. You can tell if the omega 3 oil is rancid by biting open the capsule and tasting. On the Perque EPA/DHA bite it open in your mouth, the only thing you will taste is a mild lemon flavor. There is no fish odor or taste. If the product smells or zings your tongue, it is rancid. We got back to the race and I found my section, a bunch of people that looked like me. No fun was going on in that bleacher section. We went farther down to the exuberant section of college kids. Well, the row I picked was Grand Central Station for getting up and saying excuse me exiting and re-entering the row 25 times. Around 3:30 AM it dawned on Mr. Smart here, they just might of drank a tiny bit of beer before the race. Next Sunday is Easter and I will be back at Purdue having Brunch at the Union with the college girls. I will send out my allergy test results on Saturday. The teasing on Sunday will be relentless, “You can’t eat that”. I’ll take pictures.